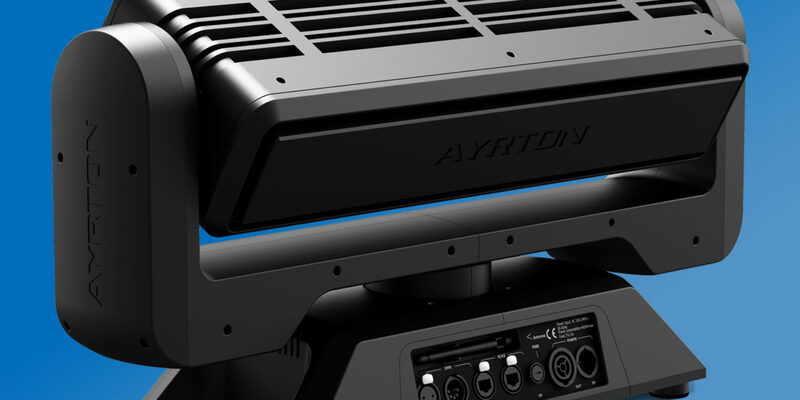 The versatile MAGICBLADE-FX is an exciting new iteration of Ayrton’s award-winning MAGICBLADE-R, which has been sold by the thousands for use on major musical tours worldwide. 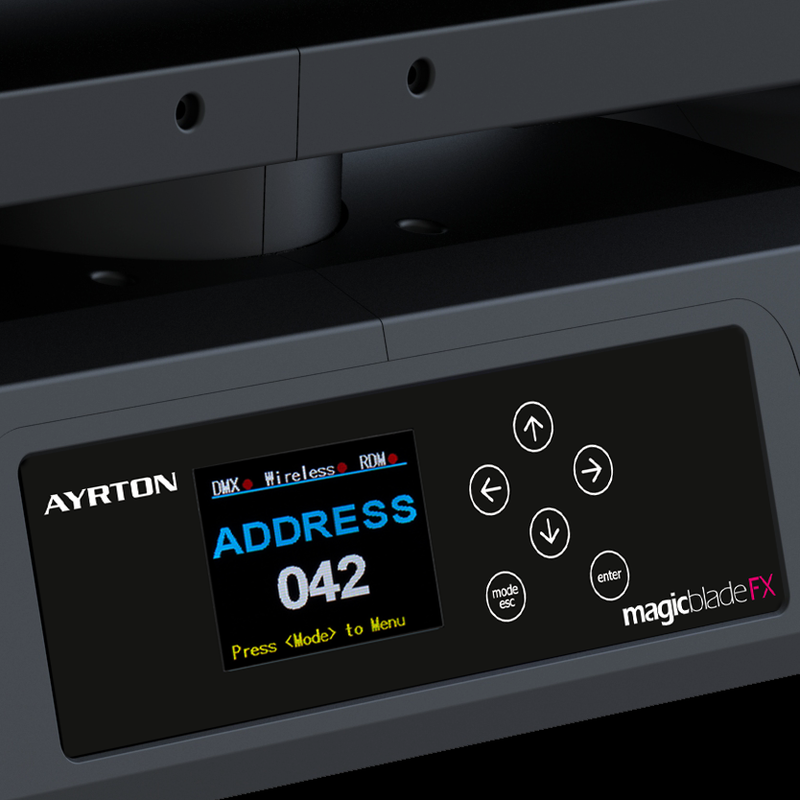 This new MAGICBLADE is equipped with the revolutionary FX optical zoom system that has no visible moving parts and a fixed transmitting lens. 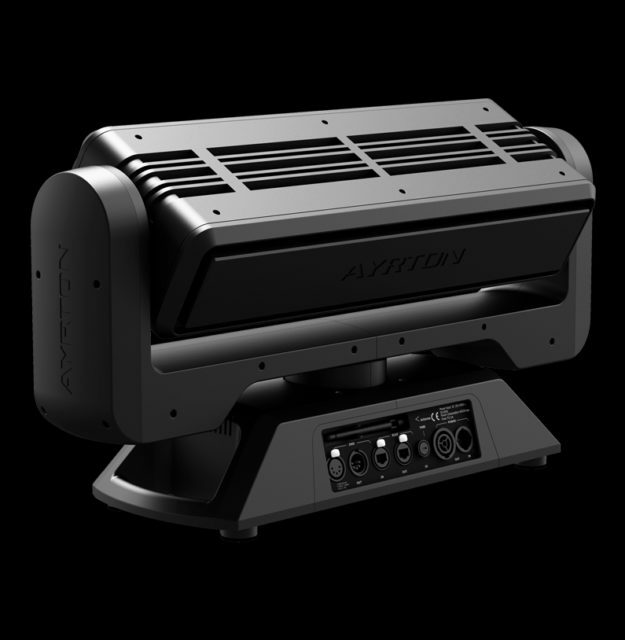 With a 15:1 zoom ratio, the beam angle of this proprietary system ranges from 3.6º to 53º. 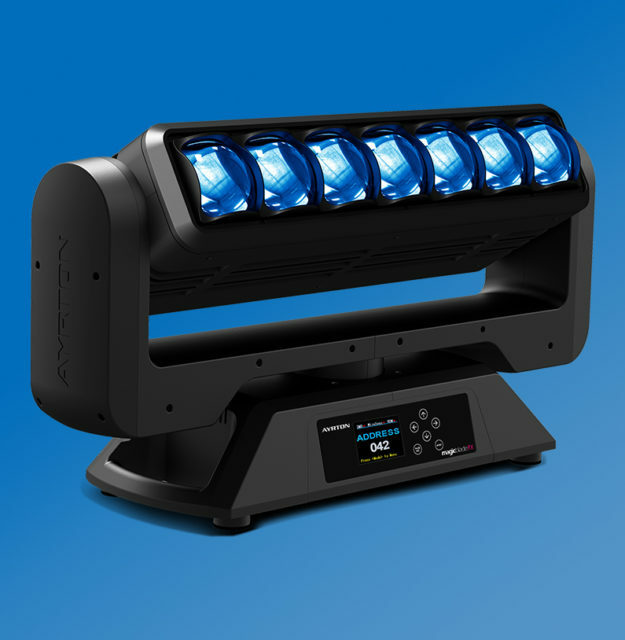 It features seven squared 65 mm transmitting lenses, each with an equivalent optical surface to a round lens with an 80 mm diameter that is combined with a ultra-powerful, low-etendue, LED emitter, enabling MAGICBLADE-FX to project intense beams to help create 3D volumetric effects. 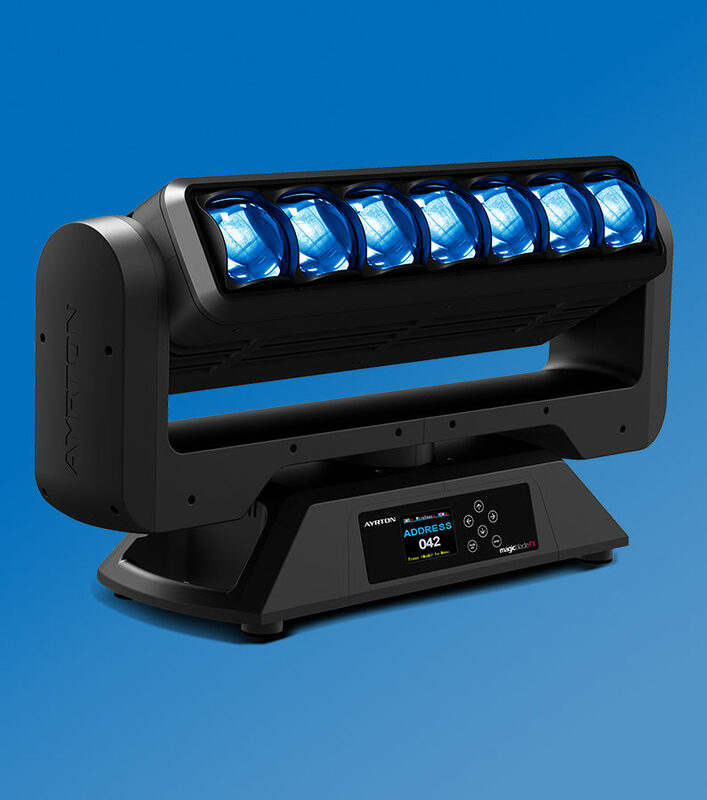 The MAGICBLADE-FX has seven next-generation RGBW high-output LEDs that can be individually controlled to create airborne virtual scenery or to illuminate sets and performers. 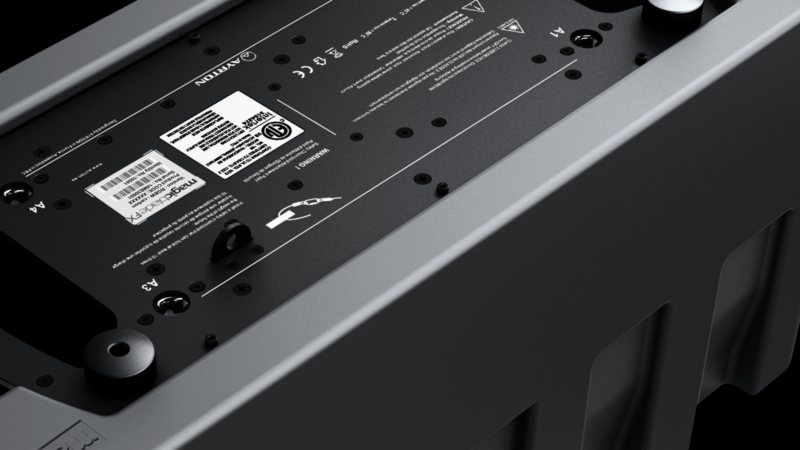 The crisp, clean separation between LED sources permits designers to develop innovative graphic effects. 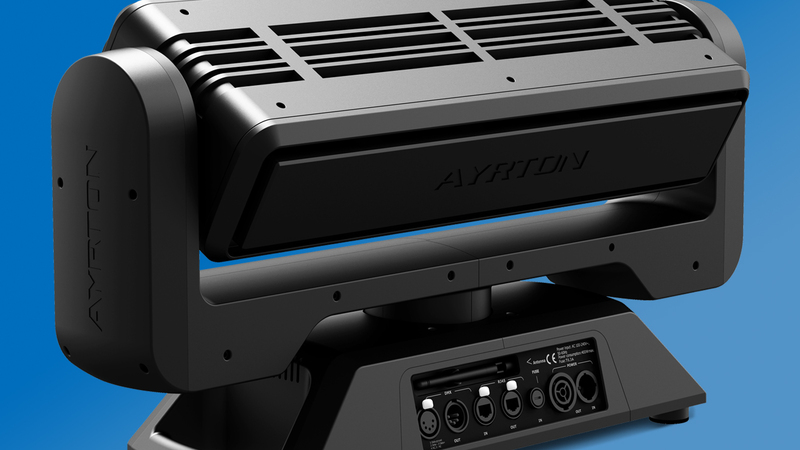 An onboard library of pre-programmed effects and colour macros can be combined with console driven control in various display modes. 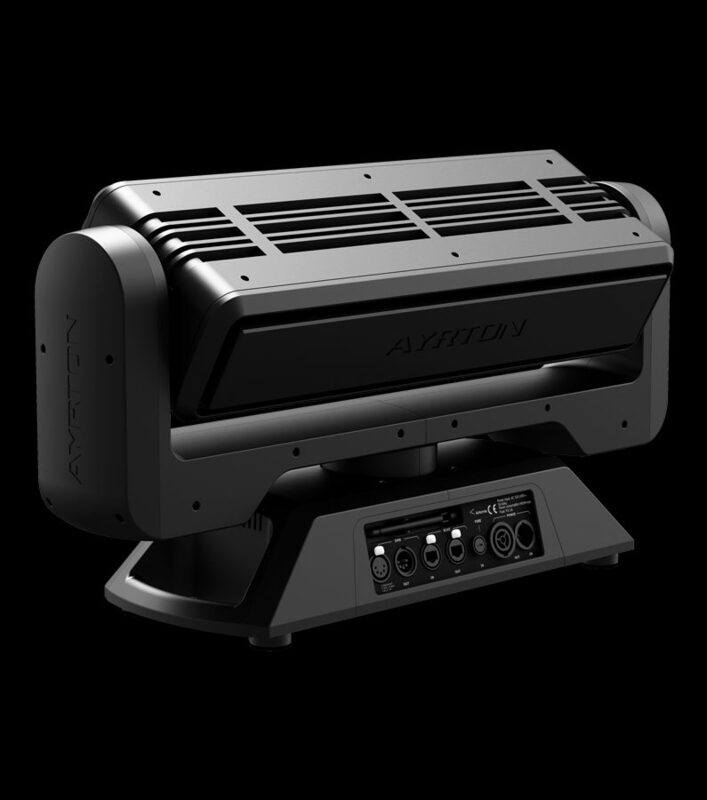 MAGICBLADE-FX has extended serial connectivity and can be controlled DMX-512 w/ RDM, ArtNet™, sACN or a wireless link with CRMX TiMo RDM from LumenRadio™.